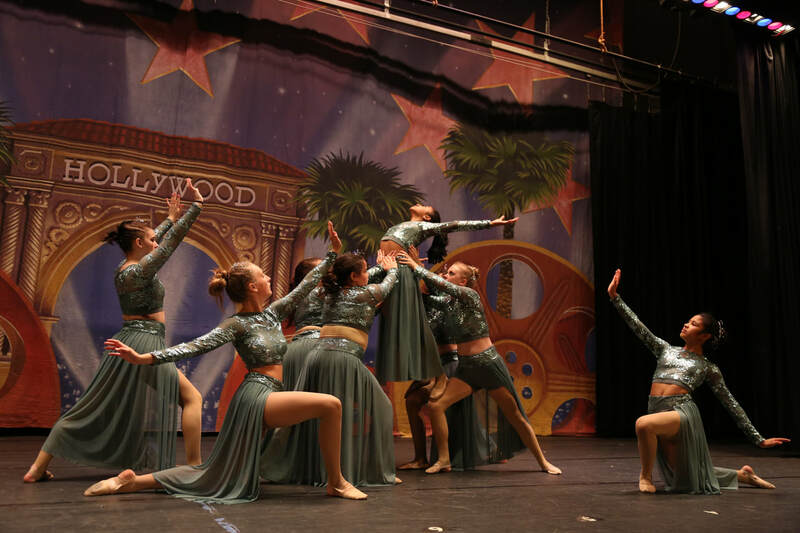 ﻿Our Jr. and Sr. Lyrical ﻿program﻿ in﻿corporates a dance style that combines elements of ballet, modern and Jazz techniques. It is commonly set to popular music with vocals or just instrumental bars. This type of dance uses musical interpretation to inspire movement and show expression. Contemporary dance is a style that typically deals with the abstract in both form and content. Unlike other more structured forms of dance the movements are generally intended to be performed with a released or relaxed quality. In addition, it draws influences from many different dance styles and cultures such as, African jazz, jazz music, ballet, and eastern dance styles to name a few. Contemporary dance also follows closely on the heels of the modern dance movement which was brought forth through pioneers such as Isadora Duncan, Martha Graham, Merce Cunningham, Jose Limon, and Lester Horton who all developed their own unique style and techniques that many still practice today. The goal of a lyrical/contemporary dancer is to use gesture, facial expression, and controlled movements in order to execute their movements and emotions fully. Besides emotional connection to music, lyrical dance typically encourages use of articulation, line, weight, and movement qualities found in the core of ballet training.